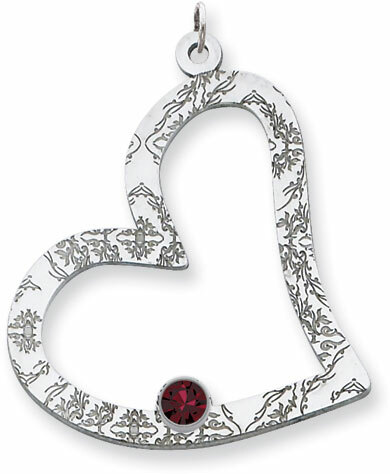 Sterling Silver Heart Family Pendant with 1 Stone. Pendant measures 26mm (1") x 26mm (1"). We guarantee our Sterling Silver Floral Heart Family Pendant with 1 Stone to be high quality, authentic jewelry, as described above.